Dr Dawson completed her doctoral thesis on trauma interventions - titled When Fear Remains: The Development and Maintenance of Post-Traumatic Stress Disorder- at Macquarie University in Sydney. 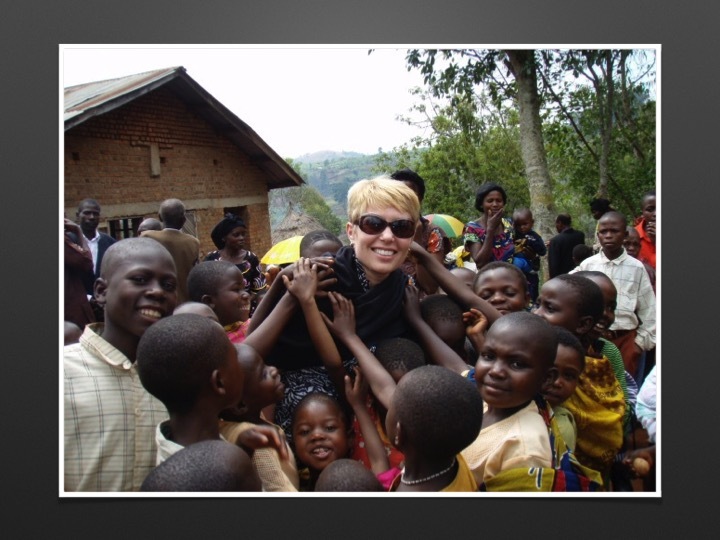 In 2004 she was invited to train local Ugandan leaders to manage trauma within their war-scarred community. "What I found when working with these communities both horrified and blessed me," she says. "I was blessed by their fight to over come the atrocities they had suffered, but horrified to hear of children abducted by rebel armies and forced to kill, and heartbreaking stories of massacres and poverty." Upon her return to Australia, Dr Dawson founded the not-for-profit organisation TraumAid International (formerly Steel Magnolias International) with the aim of equipping local leaders to understand and mitigate trauma and transform their community. Her work with TraumAid has taken her to large-scale disaster zones and internally displaced peoples’ camps throughout Uganda, the Democratic Republic of the Congo, Sri Lanka and the Solomon Islands. Jennifer continues to work full-time at her Sydney practice, and spends several months each year on location in disaster zones across the globe. She conducts ongoing research into the neurological, physiological and psychological impact of trauma, and provides consultancy services for professionals working with traumatised populations.